As a family dentist, our goal is to provide a cavity treatment for kids that makes it possible for our young patients to experience good oral health. We are innovative, gentle, thorough and considerate, making us the ideal dentist to treat your child – especially if they have autism. We understand that parents of autistic children have a lot on their plate. There is often a need to identify new and different ways to do everything from educating autistic children to having cleaning their teeth and filling their cavities. Doing things differently is okay as long as you have people that are willing to work with you. We are. When you first call to make an appointment, please let us know if there are any special requests that you have. Think about your child and the things that make them either happy or stressed out. If your child needs it to be quiet, let us know, we can schedule their appointment for first thing in the morning. If they are happier at night, let us know and we will give them the last appointment of the day. We even want to know if they have a favorite sports team or superhero since we can incorporate these facts into our conversations with them. While simple, these little things can help the child to feel much more comfortable while receiving dental care. Regardless of what it is that makes the child feel better, we want to know about it so that we can create a plan for how to treat them. As a children’s dentist, we understand that the little details are what turns a scary dentist appointment into something that a child actually looks forward to. We are willing to work with you and your children to find the perfect formula so that they welcome the chance to receive ongoing dental care. With our treatment methods, your child will be much more calm about coming in for a cavity treatment. You may also want to consider giving your child sedation. We can provide them with nitrous oxide as a way to relax them. They will still be awake and feel in control but they will be incredibly calm, relaxed and happy. Sedation will help them to hold still during treatment and to have an overall sense of wellbeing. This is important for any child and can be particularly important for an autistic child that may have more difficulty visiting the dentist. If you are bringing your child in with a toothache, there is a good chance they have a cavity that needs treatment. If the cavity is incredibly small, we may begin with a simple fluoride treatment. This may help the tooth to become strong enough to fight off the decay. If the tooth begins to decay, we will treat it by removing that portion of the tooth, cleaning it and then giving your child a dental filling. We use tooth-colored resin, which will make the filling look like a natural tooth structure. After the procedure, the child will go back to feeling comfortable and their tooth will look intact. Whether you have an autistic child or one in need of a cavity treatment for kids, call us. We will care for their teeth and look forward to doing so. 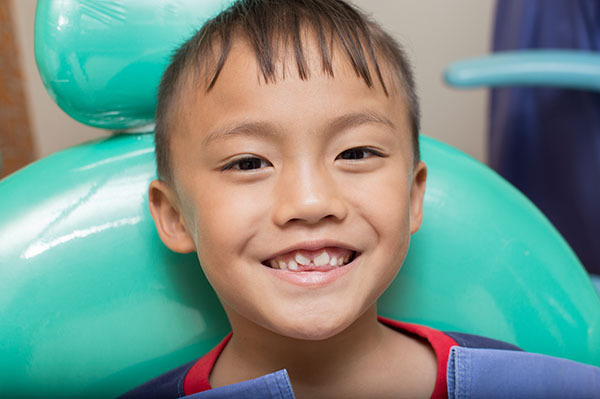 Live in Redwood City, CA and have questions about cavity treatment for kids? Give us a call at (650) 200-1179.